Rubjerg Knude Fyr is a stone’s throw from Mårup Kirke and it shares a similar fate. 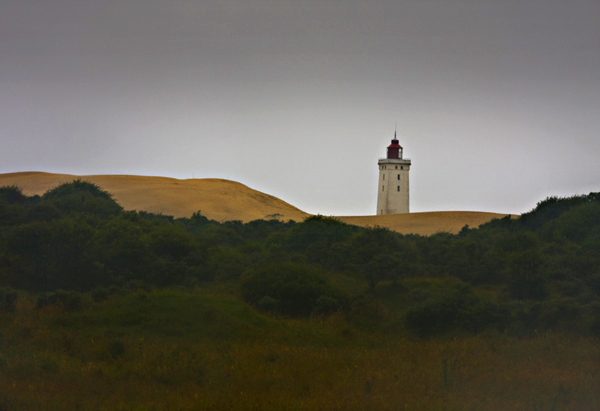 Moving sand dunes have crushed the lighthouse’s surrounding buildings and at times have buried it so much that it’s impossible to see its light from the North Sea. It was lit for the last time in 1968, and now it just stands there, being covered and uncovered by the wind and sand.